Tempe, Arizona is an inner suburb situated between the Phoenix’s core and the rest of the East Valley. It is home to the main campus of Arizona State University. This city of 160,000 serves as a crossroads for the area's largest communities. Tempe’s northern skyline features a tightly packed pattern of urbanized development, while single-family homes, strip malls and lower-volume office parks comprise its southern sector. Families will find Tempe offers many adventures to enjoy with entertainment, museums, and tempting restaurant options. Tempe Town Lake is a reservoir that is in the heart of Tempe and attracts many high-profile events. It is Arizona’s second-most visited attraction. Tempe is generally flat, which one important exception - Hayden Butte is a local landmark, otherwise known as “A” Mountain. It prominently features Arizona State University's "A" logo on its south face and is located next to Sun Devil Stadium. 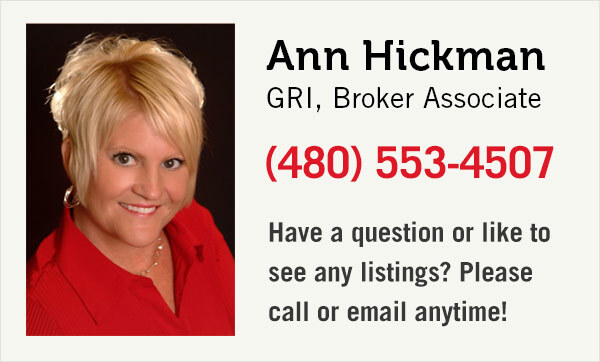 Start searching homes for sale in Tempe, AZ right here. See the most recent listings below or, to search by home amenities, community, interactive map or any other criteria, use our advanced home search. If you’re considering buying or selling, please contact us or call. We're happy to help!